Although this chapter provided some much needed context for the broader case of improving how we financially supporting college students, I’m not one that needs much convincing. I understand the needs and have even benefited from many of the mentioned financial aid sources. My main hesitation with this plan is that I don’t want to distill away the value from the ideas presented in Paying the Price in favor of soundbites. That being said, I do see merit in infographics as a means to spread awareness, spark curiosity, and get more people thinking about the cost of college. While I attended the University of Oklahoma I was a beneficiary of both Oklahoma’s Promise (I knew it as OHLAP) and Sooner Promise. I remember discovering this shortcoming in the financial aid system. Basically, I received a set amount of money from Oklahoma’s Promise/Sooner Promise that was composed from various scholarships and grants. However, if I applied and received scholarships on my own, these would funnel into the set amount of money I was guaranteed. In other words, I had to acquire scholarships in excess of the set Oklahoma’s Promise/Sooner Promise threshold to actually receive money. At the time, this was discouraging, and although I did apply for a few private scholarships, there wasn’t much of a point when such awards were absorbed by the system. Even though I’m describing this shortcoming of the financial aid system, I do not wish to discredit the aid I received as it did enable me to attend university. Rather, I hope to offer a point of improvement where I envision students benefiting from all of scholarships they receive in addition to programs like Oklahoma’s Promise/Sooner Promise. I’ve been reading blog posts from others who are currently studying Paying the Price and I felt inspired by the discussion questions that Bryan Alexander included in his reflections. What ways can we engage the community in the content from Paying the Price? For current financial aid systems where many students qualify but only some are selected to receive, how do we expand these programs? Should we expand these programs? 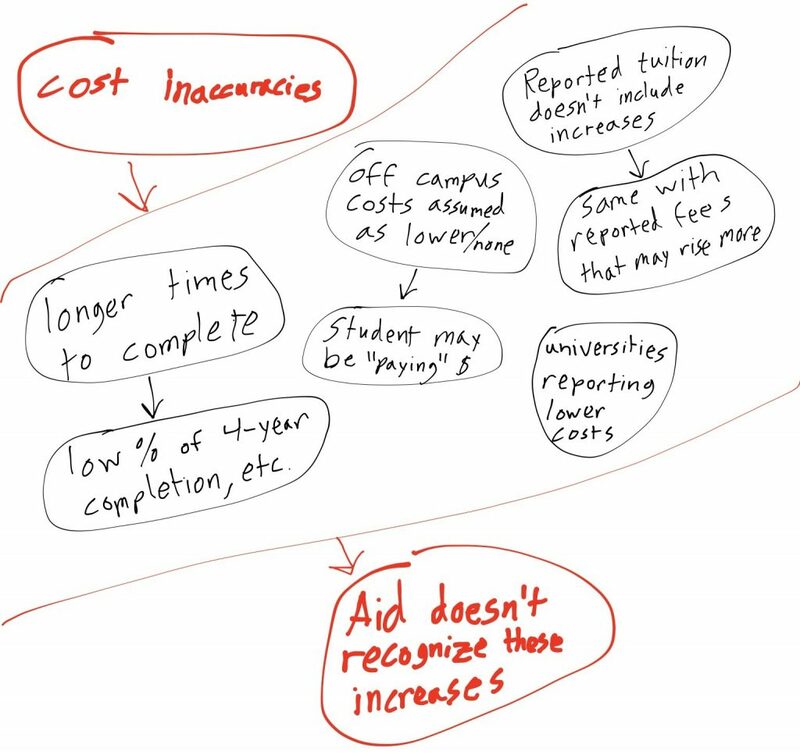 If you were to redesign the financial aid systems, what would your ideal setup look like? How do we reach for this setup? What are your thoughts from the last two chapters of Paying the Price? The featured image is provided CC0 by Juan Ramos via Unsplash. Sara Goldrick-Rab, Paying the Price, p. 53.